Enhanced collaboration is important to every business as many organizations need people with different responsibilities to work in unison to meet the demands of their clientele. In no way is this more evident than with communications. If your company depends on collaboration to meet its goals, having solutions in place that make it easy to communicate is essential. As a result, many organizations invest plenty of money into their telephone and email solutions. These two mediums have been the standard for quite some time. A few years ago, many organizations started utilizing instant messaging in some capacity to move things along. Together they are the base of what is called a unified communications platform. Since today’s solutions tend to integrate with one another, it makes it easier to communicate (and more aptly--to get the answers users need to accomplish their tasks proficiently). These communications apps have significantly improved the way people interact, but to improve productivity, people needed to move on from a communications strategy centered around separate solutions and focus on one. There is software being developed that not only takes into account how people function in collaborative work, but also makes available shortcuts that help any group of people collaborate better. These titles, called collaboration tools, provide users an email-like interface that is more dynamic and capable of delivering all the solutions needed by workers to get the most out of their workday. One example that immediately comes to mind is Slack. You can think of Slack (and other solutions like it) as a communications hub that gives your employees access to all the tools they need to collaborate more effectively with their peers. It can be described as a single point of contact, in a way--almost like an integrated intranet with all of your business’ specific tools available in a single interface. Some of the tools involved allow your business to communicate not only with in-house resources, but also external companies that your business has a relationship with. 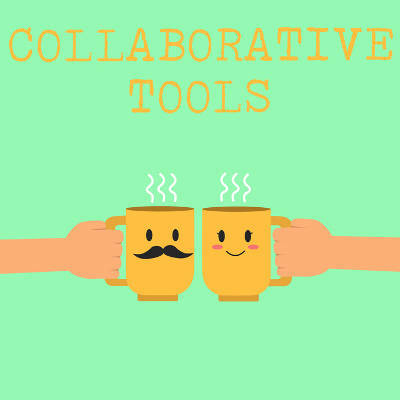 Furthermore, these tools can be leveraged to orchestrate meetings and share data, allowing for enhanced collaboration and connectivity. Team channels can be set up to keep everyone in the loop regarding initiatives, allowing for information to be stored in a more accessible location rather than on each individual user’s desktop or workstation. Since these tools are available in the cloud, they can be accessed anywhere on any approved device, making collaboration solutions like Slack all the more flexible. Does your business hope to make progress in the field of communications and collaboration? The right solutions can help. To learn more about how Washington Works can help your business, reach out to us at 301-571-5040.